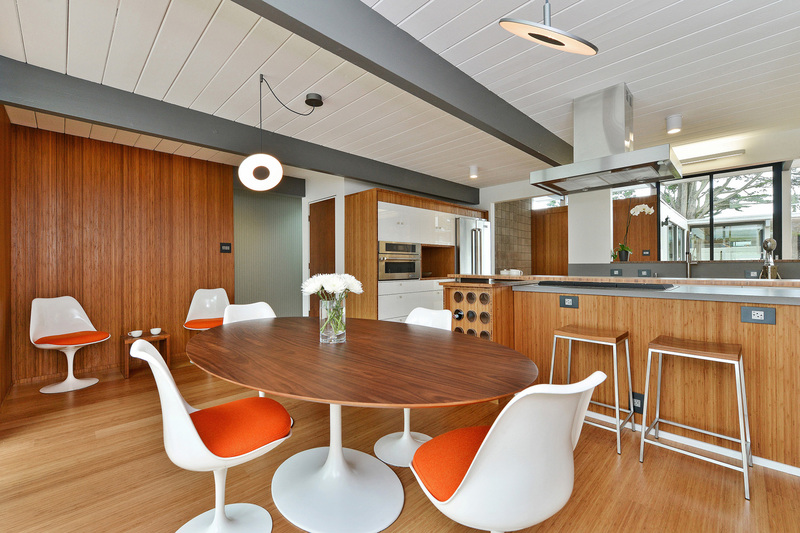 SAN FRANCISCO, CA--(Marketwired - June 23, 2015) - A rare Eichler home in Diamond Heights has just been listed with Zephyr Real Estate agent Claudia Siegel. The home, designed by architect Claude Oakland, is one of the few single-story Eichler homes in San Francisco, and has undergone a major renovation that includes extensive lavish upgrades. The stunning property, located at 1027 Duncan Street, was purchased last fall in a state of disrepair. The purchasers, both architects, have completely restored the home to its former greatness as well as incorporating contemporary, distinctive and sustainable design elements. The four-bedroom, 2.5-bath home sits on a large lot overlooking lush gardens and woods. Multiple floor-to-ceiling glass doors and clerestory windows provide a wealth of natural light that effectively blends the outdoors with the interior for a wonderful and expansive living space. The home is listed at $1,995,000. The living room and the master suite open onto a central courtyard, which is truly the heart of the home. Elegant amenities abound including custom appliances, state-of-the-art lighting, bamboo flooring, radiant heat, mahogany interior doors, Trex decking, along with a new roof, electrical and plumbing systems, Low-E glass skylights and new a driveway and walkways. Joseph Eichler (1900-1974) was well known for coupling his distinctive California Modern design with the burgeoning post-war housing boom. He believed it was possible to provide well-made, well-designed homes to the middle class, and he brought that belief to life. 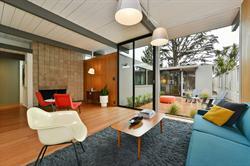 His signature concepts included courtyards for indoor-outdoor living, fresh air and light and a fondness for privacy. He is remembered for his advocacy for equal opportunity home ownership. He ultimately resigned from the National Association of Builders due to its discrimination of minorities and his determination to sell homes to African Americans, Jews, Chinese and anyone who wanted to live the American Dream. 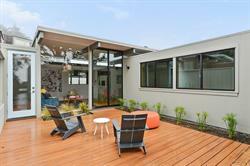 "This home needs to be seen to truly appreciate all the amazing attributes," commented Siegel, listing agent. "The opportunity to see first-hand what has been accomplished is incredible." 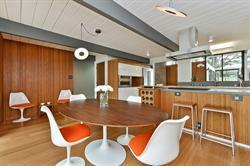 To learn more about this extraordinary property, contact her at claudiasiegel@zephyrsf.com or 415.816.2811. Founded in 1978, Zephyr Real Estate is San Francisco's largest independent real estate firm with nearly $2 billion in gross sales and a current roster of more than 300 full-time agents. Zephyr's highly-visited website has earned two web design awards, including the prestigious Interactive Media Award. Zephyr Real Estate is a member of the international relocation network, Leading Real Estate Companies of the World; the luxury real estate network, Who's Who in Luxury Real Estate; global luxury affiliate, Mayfair International; and local luxury marketing association, the Luxury Marketing Council of San Francisco. Zephyr has six offices in San Francisco, two in Marin County, which include a brand new office in Greenbrae and a small store-front business center in Corte Madera, and two brokerage affiliates in Sonoma County, all strategically positioned to serve a large customer base throughout the San Francisco Bay Area. For more information, visit www.ZephyrRE.com.